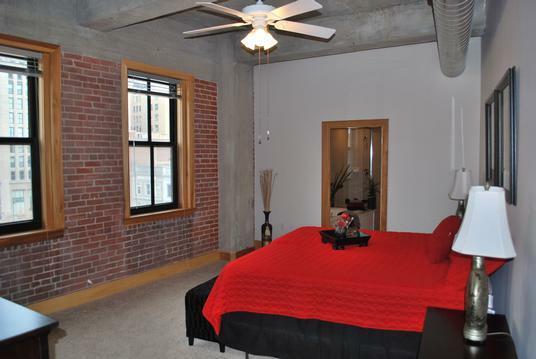 Winter Specials On 2 Bedroom Lofts! Call 314-621-9292 for more information! 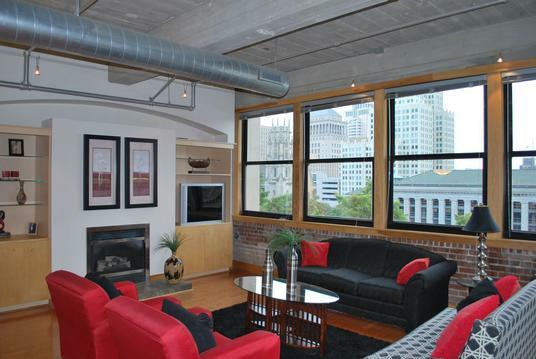 Developed by McGowan Brothers Development and designed by Fendler and Associates, this distinctive building has been converted into twenty-four luxury city loft apartments. 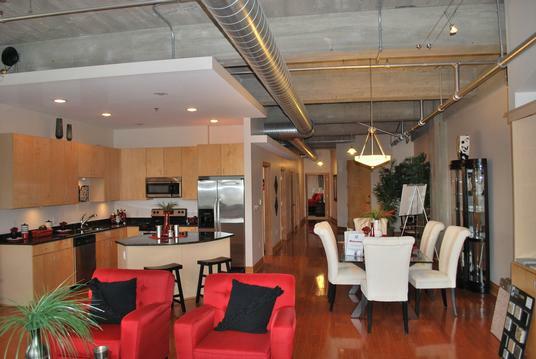 The Grace Lofts, located at 1324 Washington Avenue is located in the heart of the loft district. Grace Lofts is proud to add to a neighborhood that offers restaurants, galleries, retail stores, and cafes with outdoor patios. There are eight floors in this beautiful building which houses 24 contemporary lofts and two floors of commercial space. The second floor is the new home of Guth Lighting, a long time downtown resident, while the first floor is home to “Flannery’s Pub & Sports Bar”. Flannery’s is a gathering place for the neighborhood residents offering a place to eat as well as be entertained. With their high ceilings, gas fireplaces, and beautiful views of Lucas Park and Washington Avenue, Grace Lofts are in the premier location of downtown St. Louis. Each luxury loft has its own washer and dryer, is equipped with new electrical and plumbing fixtures, and is already wired for cable and the internet. Tenants will also have secured indoor parking, as well as a state of the art security system with twenty-four hour recording. Residents of Grace Lofts receive a yearly membership to St. Louis Fitness Factory, which is just next door. Grace Lofts, also known as The Lesan-Gould Building, is located at 1320-24 Washington Avenue, just north of St. Louis´ central business district. Erected in 1907, Grace Lofts is an eight-story reinforced concrete frame factory and commercial building. It was designed by the St. Louis architectural firm of Mauran, Russell and Garden and employed a system of reinforcing concrete developed by Detroit engineer Julius Kahn, who patented a system of re-enforced concrete construction. The building is an Arts and Crafts design, with banked windows, projecting cornice with oversize brackets, and a multitude of enameled brick detail. In 1907 the Lesan Company and the Gould Directory Company consolidated and the new corporation became the Lesan-Gould Company. But in 1908 the company disorganized and the business was reorganized into separate units. The building was then added to the National Register of Historic Places in 1986 for its significance in Architecture and Engineering. In the spring of 2000 McGowan Brothers Development continued their vision of the Washington Avenue Loft district, and purchased The Lesan-Gould Building.